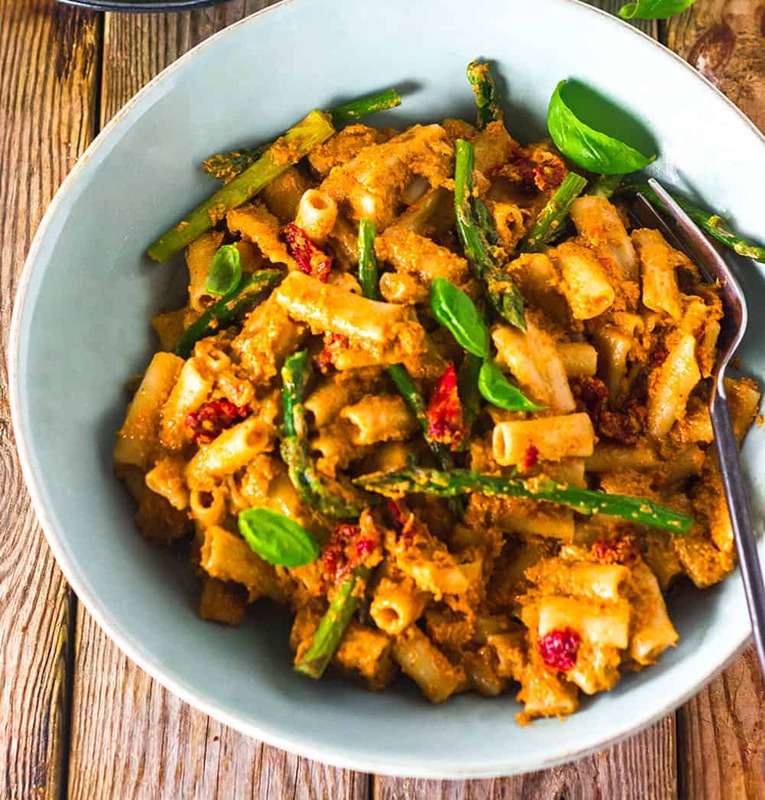 This hearty Sun-Dried Tomato Pesto Pasta with Roasted Asparagus is a vegan and gluten-free treat that will be loved by all. This delicious pasta dish is so comforting and flavorful, perfect served as a main or a side. I love this quick and easy pasta recipe for when I’m in a rush to serve a hearty lunch. The pesto isn’t your typical green pesto like my Creamy Basil Pesto, but it’s amazing. I used brown rice pasta, but any kind will work. My other favorite pasta recipes using brown rice pasta, Vegan Mac And Cheese, Easy Vegan Rotini Pasta, Rasta Pasta. 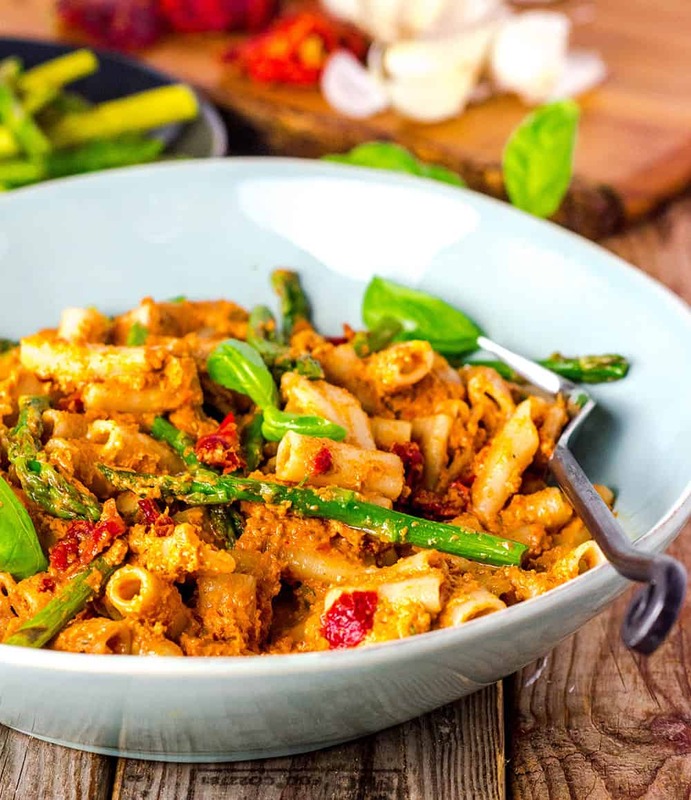 I first made this Sun-Dried Tomato Pesto Pasta with Roasted Asparagus recipe 5 years ago and it has remained a favorite of our readers. I decided to retake the photos and add some roasted asparagus and I must tell you that I enjoyed this recipe today just like I did 5 years ago. I decided to keep some of the content from then because it is wonderful to reflect on what I wrote about this recipe. My daughter, Devannah is almost 20 years old now, she is in university studying Biology and at the time I wrote this, she was in her final year in high-school as a homeschooler and she still loves pesto pasta. "I remember one summer when my daughter Devannah was 10 years old, her friend Briana would visit from next door and Devannah and whenever they were hungry Devannah would make pesto pasta 9 times out of 10. She would make the most delicious dish and I often wonder how she never got tired of preparing the same dish. Eventually, it did get stale and she became creative and prepared other dishes for her and her friend. Even now Devannah is very creative in the kitchen and she pretty much does her own groceries and prepares her own meals. She shares with us what she prepares and I always cook her meals whether she eats it or not. One thing I love about Devannah since she was a very young child, was her independent mind, she is not easily influenced, she researches everything and has an answer most of the time. She is an avid reader, when she was younger I joined about 6 libraries in a 50-mile radius in order to keep up with a number of books she would read. At around 8 years old she taught a foreign student English grammar." So to make this Sun-Dried Tomato Pesto Pasta recipe, it is very easy. Rehydrate the sun-dried tomatoes in warm water, trim and roast asparagus in the preheated oven, boil the pasta as per direction on the package. Process pesto. I used gluten-free, vegan penne brown rice pasta that I purchased from Trader Joes. Place sun-dried tomatoes in a medium bowl, cover warm water and let sit for 15 minutes to rehydrate. Preheat oven 400 degrees F. Lightly grease baking sheet. Trim and chop asparagus then toss with olive oil, place asparagus in a single layer on baking sheet and roast for 15-20 minutes. Cook pasta according to package directions in a large pot of boiling salted water. Drain and set aside. In a food processor, process sun-dried tomatoes, walnuts, basil, yeast flakes, garlic, and sea salt until smooth. Add reserved water, 2 tablespoon at a time and pulse until pesto is smooth. 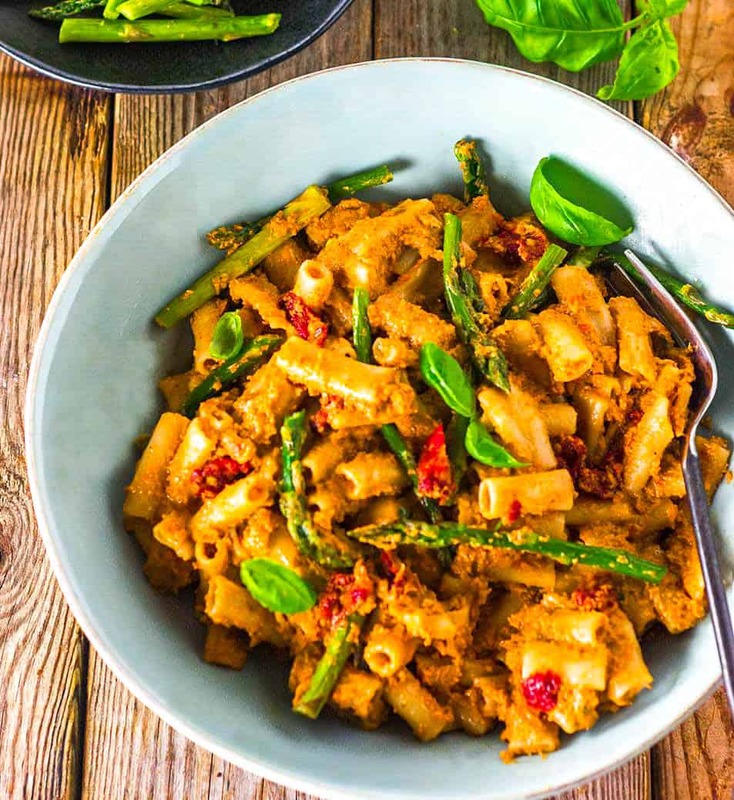 In a large bowl, combine pasta, asparagus and sun-dried tomato pesto, stir to combine. 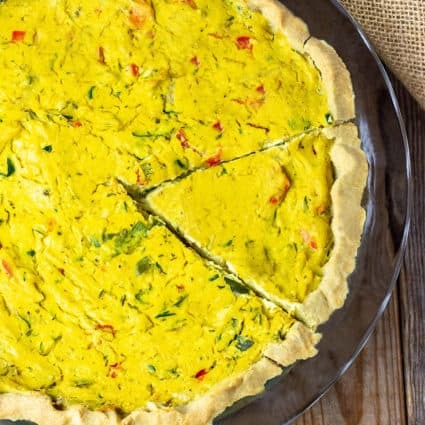 Garnish with fresh basil leaves and serve as a side dish or with a salad. Hi..Is the sun dried tomato fresh or bottled? I have it with rehydrated sundried tomatoes and bottled. This pasta was so good and easy to make! Even our non-vegan guests loved it. Thank you Monica for your feedback, I’m so happy everyone enjoyed it. This is a great recipe, thank you. 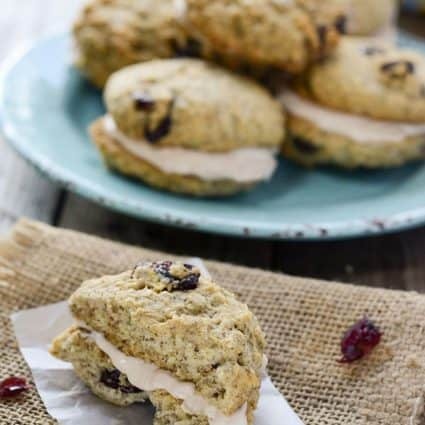 I don’t give reviews often but I just had to let you know that this recipe was very delicious, my entire family loved it. 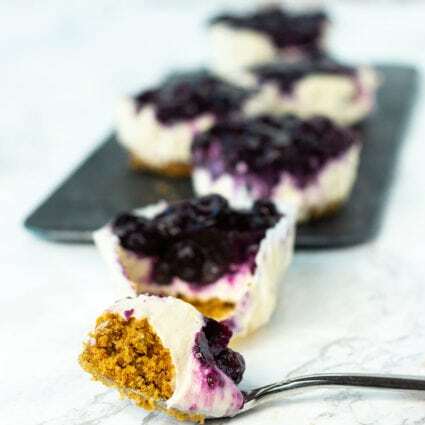 This is absolutely delicious, thank you for your recipes.